Long-term investing in high-quality companies with preeminent brands is a simple strategy which stacks the chips in favor of the individual investor. This approach relies on identifying the best companies and brands in the world and then betting that over the long-term, the value of these businesses will increase. Although this strategy isn't foolproof, it does mitigate the vast majority of mistakes that most individual investors make. Namely, it eliminates market-timing, chasing fads or hot sectors, and betting on speculative, low-quality investments. 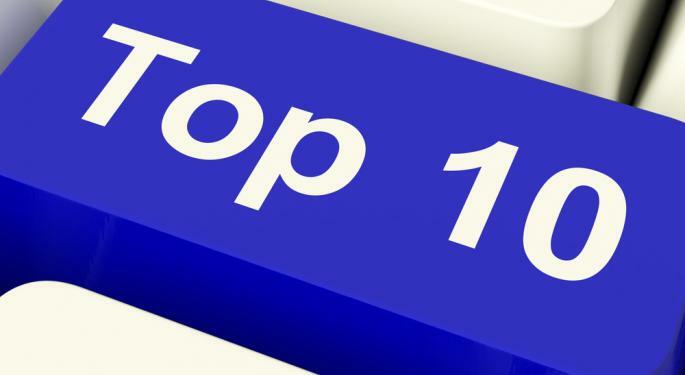 The following slideshow highlights the top 10 brands of 2012. Ideally, investors following the above approach would have purchased these stocks years ago as their brand star began to rise. The brand data used is primarily from brandirectory.com. Additional sourcing is from interbrand.com. Not surprisingly, the world's largest company tops the list of 2012's top brands. According to brandirectory.com, Apple's brand is worth an incredible $70.65 billion. Interbrand.com, which ranks Apple as the world's second most valuable brand in 2012 behind Coca-Cola (NYSE: KO), values the Apple brand at over $76 billion. Even more impressive, however, is the growth that the Apple brand has experienced over the last year. According to brandirectory.com, the value of the brand has increased 139 percent in 2012 versus the year ago period. Over the last year, the stock has surged almost 26 percent and the company currently sports a market capitalization of more than $479 billion. 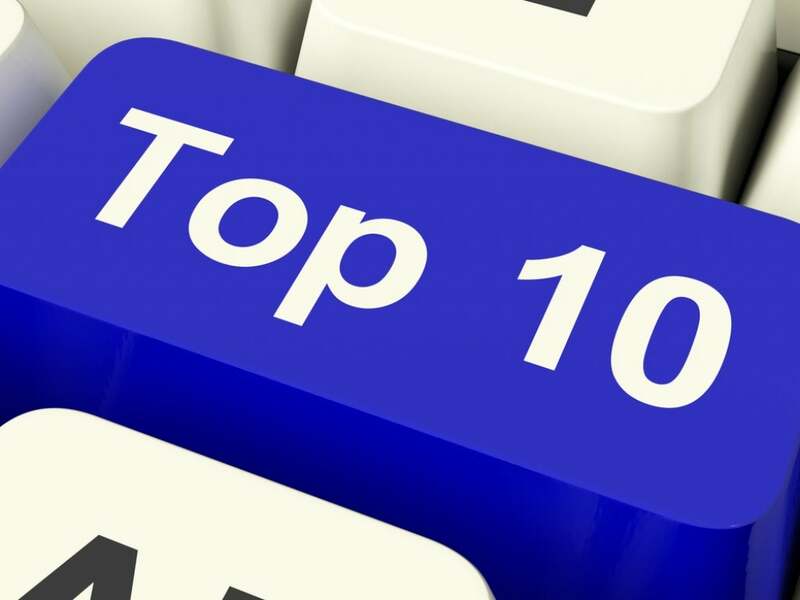 Checking in at number two on the list is internet search leader Google. Since the turn of the century, the corporate landscape has been completely redefined by the rise of fast-growing tech companies and Google is probably the greatest success story of all. It is hard to imagine that the Mountain View, California-based company only went public in 2004. During that time, the stock has climbed around 546 percent, including better than 8 percent in 2012. Currently, brandirectory.com estimates that the Google brand is worth roughly $47.5 billion and that its value has increased by around 7 percent during the last year. The number three company on our list is another technology behemoth, Microsoft. The outfit that Bill Gates founded currently has a market capitalization of over $223 billion and a brand valuation of almost $46 billion. Year over year, the company's brand has increased in value by an estimated 7 percent while the stock has added a little better than 2 percent in 2012. While Microsoft has lost some of its growth-stock luster over the last decade, the company remains one of the most recognized in the world and the shares offer a dividend yield well in excess of 3 percent at current levels. This blue-chip company has the fourth most valuable brand in the world according to estimates from brandirectory.com. Warren Buffett, who has traditionally shunned tech stocks, is a recent investor and the shares are up a little over 3 percent in 2012. The brand is valued at $39 billion, representing a gain of more than 8 percent versus 2011. Interbrand.com also ranks IBM extremely high in its table of 2012's top brands. The site puts IBM in the number three spot ahead of both Google and Microsoft with a total vale of $75.5 billion. This is hardly a surprising name to see on this list. 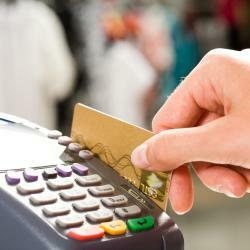 The world's top retailer ranks fifth in terms of brand value according to brandirectory.com. Last year, Wal-Mart was the ranked as the third most valuable brand in the world. Although it has fallen in the rankings, the estimated value of the Wal-Mart brand rose almost 6 percent as compared to 2011. Year-to-date, Wal-Mart has been among the top performing Dow stocks with a gain of more than 13 percent. At current levels, the company has a market capitalization of $226 billion and the stock is yielding a healthy 2.30 percent. This South Korean company is the first international corporation to make the list of 2012's top brands. Samsung is a manufacturer of consumer electronics on a global basis. The stock trades on the Korean stock exchange and it is the only company included in this listing that does not have shares trading on an American exchange. According to brandirectory.com, the Samsung brand is worth an estimated $38.2 billion and has made a major jump in 2012, adding almost 78 percent to its value versus 2011. Samsung also jumped from the 18th spot all the way up to the 6th spot in the brand tables. This is definitely a company to watch in 2013. Interbrand.com ranked Samsung as the 9th most valuable in the world with a value of $32.9 billion. This company had a harder time than most during the financial crisis, but the iconic American conglomerate has been making steady gains in recent years. The stock is up a very respectable 14 percent in 2012 and the General Electric brand continues to be among the world's most valuable. Brandirectory.com ranks GE as the 7th most valuable brand in the world with a valuation of $33 billion. This represents growth of almost 9 percent versus 2011. Interbrand.com also ranks the company very high as GE placed 6th in its table with a valuation of almost $44 billion. Although interbrand.com ranks Coca-Cola as the most valuable brand in the world, ahead of Apple, brandirectory.com's estimates only put it in 8th place. Nevertheless, this represents a jump of 8 spots versus last year when it ranked as the 16th most valuable brand in the world. Currently, Coca-Cola's brand valuation is $31 billion which represents year over year growth of more than 20 percent. The stock has risen a little less than 3 percent in 2012 and over the last decade KO is up better than 65 percent. In addition to safety and the likelihood of capital gains, Coca-Cola shares are yielding nearly 3 percent at current levels. This United Kingdom-based company's stock trades as an ADR on the NASDAQ Stock Market. Long a favorite name of value investors, Vodafone shares have not had a good 2012, losing almost 11 percent. On a year over year basis, the value of the brand has also declined according to brandirectory.com -- but not by much. Currently, Vodafone's brand has an estimated value of roughly $30 billion, or around 2 percent less than in 2011 when it was ranked as the fifth most valuable brand in the world. This amazing company jumped 22 spots in the 2012 brand tables and currently has a brand valuation of around $28.7 billion. While the stock trades at a nosebleed valuation, the value of both the shares and the brand have continued to defy gravity in recent years. According to brandirectory.com, the value of the Amazon.com brand grew by more than 61 percent in 2012. During the same time, the stock is up almost 42 percent. Although the company has gotten quite large with a market capitalization of $111 billion, AMZN continues to be a high-octane stock market performer. Over the last 5 years, shares have climbed 160 percent and in 10 years' time it is up an incredible 1,200 percent. No matter how you measure it, this is one of the most exciting companies in the world today and one to watch in 2013. 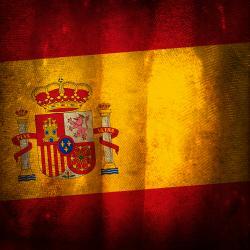 How Will The Spain ETF Perform in 2013?